Yet the couple sees winemaking as an extension of their dance life. "There's not as much makeup involved and the costumes are a little different, but you still have an audience you hope that you move in some way," says Mallory. "You put a lot of work into it, but when the performance comes, or the wine comes out of the barrels, you never know how it will be received." The Walkers first tried their hands at winemaking when the father of a fellow Ballet San Jose dancer invited them to experiment with fermenting some grapes. Travis fell in love with the process, and after retiring from his last dance job (with Trey McIntyre Project) in 2014, he went back to school to study winemaking. When he finished, the couple opened Par Terre Winery (get it?) near their home in Idaho. The grit they learned as dancers prepared them for the challenges. 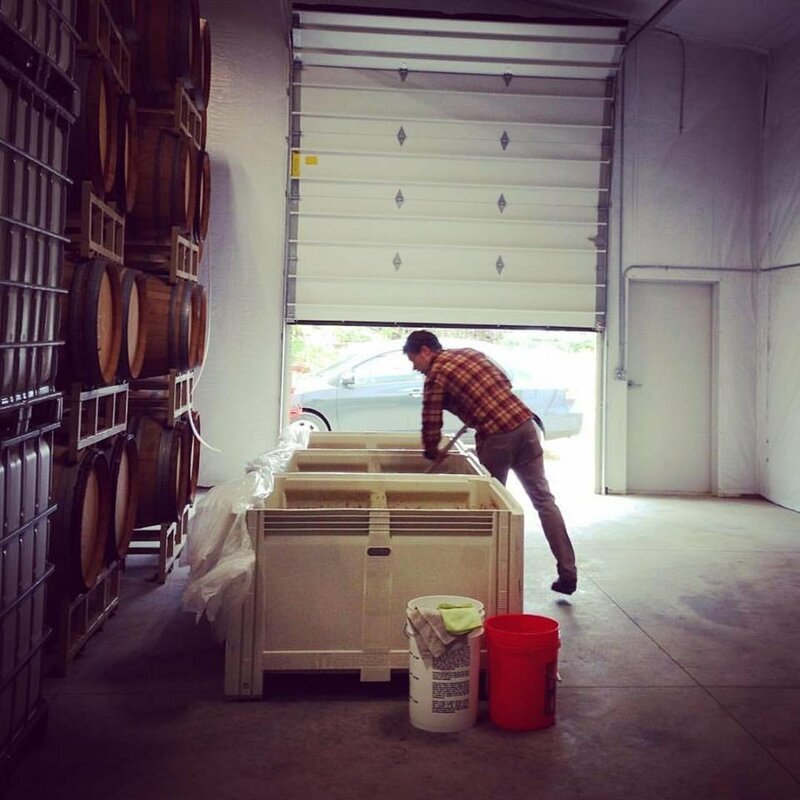 "Winemaking is a dirty job," says Travis. "You get wet. You're sticky all the time. You have to do it because you love it, just like dance." Since they were already used to the dancer's lifestyle of making it work, no matter what—from unexpected injuries to off-season unemployment—the Walkers were unafraid of starting their own business, or completing the menial tasks it takes to keep it running successfully. "It's the same discipline as doing pliés every day: You have to clean the tank every day," says Mallory. Travis doing punch-downs of the 2017 Skin-Fermented Sémillon. Photo courtesy the Walkers. Of course, they haven't left the dance world entirely. They perform on the side from time to time and set McIntyre's work on other companies. But more often, they collaborate with local dance companies. At Ballet Idaho, for example, they helped curate a dance and wine pairing, where each ballet excerpt went with a different tasting. They've also donated their bottles to various fundraisers and are currently working with a small contemporary company on a pop-up performance at their winery. "One thing that always resonated with me at Trey McIntyre Project was how Trey taught us not to shy away from failure," says Travis. "If you're in the studio making a mistake, don't brush it off or laugh at it. Use it. Learn from it." That's how he's approached his second career, and why he believes dancers have the skills they need to succeed at whatever post-dance career they choose. "I don't know any dancer who doesn't have what it takes." 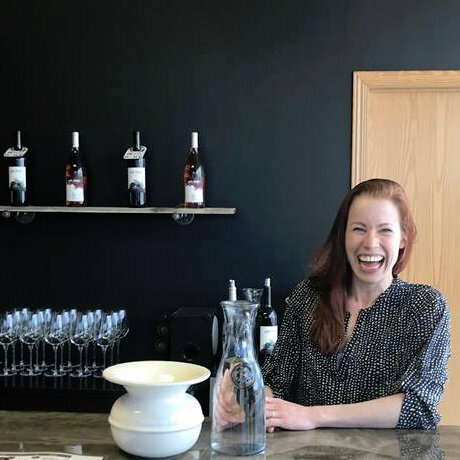 Mallory in Par Terre Winery's tasting room in Garden City, Idaho. Photo courtesy the Walkers.